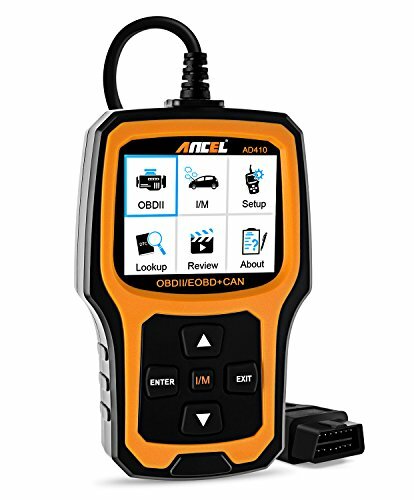 POWERFUL COMPATIBILITY - Works on MOST 1996 and newer US-Based, 2000 and newer EU-Based and Asian cars; Supports ALL OBDII protocols - KWP2000, ISO9141, J1850 VPW, J1850 PWM and CAN (Controller Area Network); Works with English, German, French, Spanish, Finnish, Dutch, Russian and Portuguese; Don't need any Battery or Charger, gets the power directly from the OBDII Data Link Connector in your vehicle. 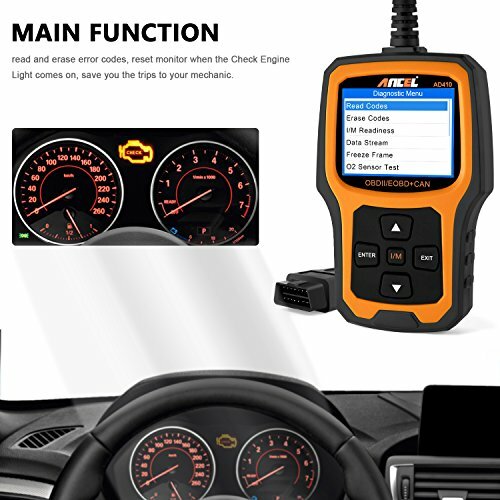 TURN CHECK ENGINE LIGHT OFF - Quickly read and erase stored emission-related codes and pending codes and show code definitions, turn off the MIL (check engine light), help in resetting the monitor before taking it to Smog, plus it tells you what is going on before bringing the car in for repair, saves you the trips to your mechanic. 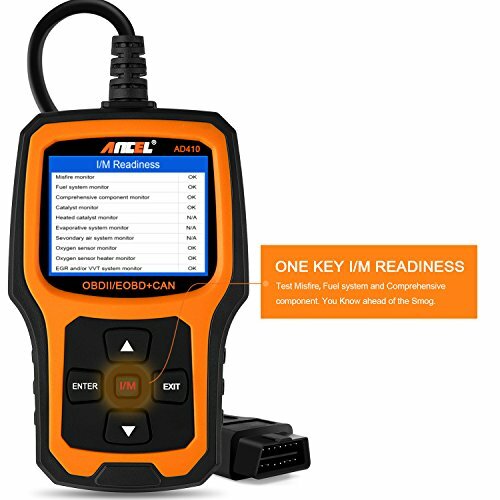 EXCLUSIVE OBDII DIAGNOSTICS - Supports O2 Sensor and EVAP (Evaporative Control) System Test. 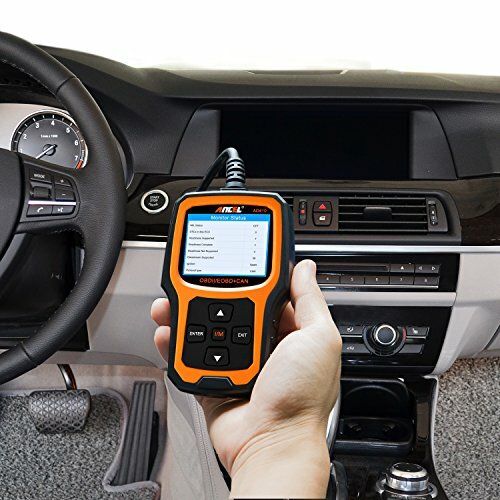 AD410 code scanner initiate a leak test vehicle's EVAP system by monitoring the integrity of the fuel tank sysytem; And the O2 Sensor Test is for monitoring and adjust air/fuel mixture, which can identify trouble shooting related to fuel efficiency and vehicle emissions. QVGA DISPLAY & NEW UI - AD410 is a great upgrade from the more basic Diagnostic Scan Tool. 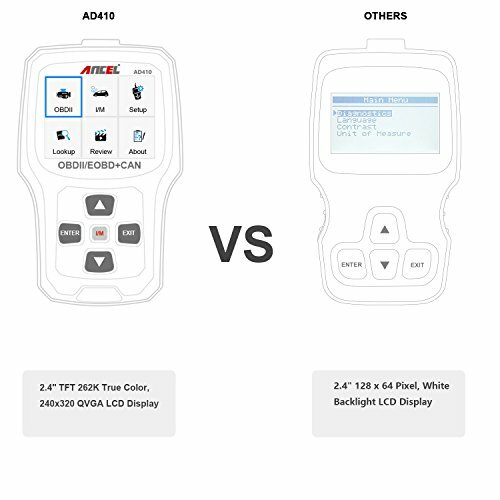 It has a 2.4" TFT true color (262K) LCD display, indicates test result more clearly. 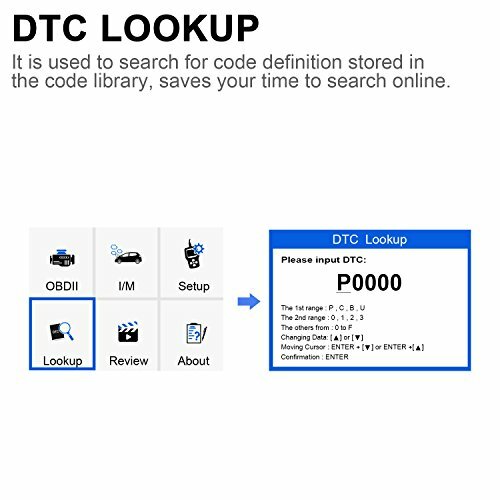 With the easy-to-read UI designed, you can easily access among Setup, OBDII Diagnostics, I/M readiness, DTC Lookup and Review, don't even need to read the manual to know what to do, even a beginner can use this unit easily. 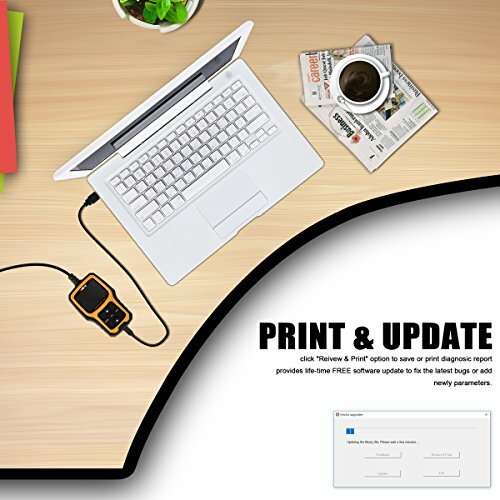 DIAGNOSIC REPORTS & UPDATE - Click "Reivew & Print" option, then will save or print diagnosic report as needed; This unit provides life-time FREE software update to fix the latest bugs or add newly parameters. Just download the software from ANCEL webstie, then follow on-screen instructions to go.